This entry was posted on September 16, 2014 by Jessica Anderson. Just like you, I'm a mom of kids who get trophies and medals. I also have a type-A personality and like my home to be neat and organized. What does a parent do with the multiple trophies and awards their child earns through sports and activities? One solution is to proudly display them! 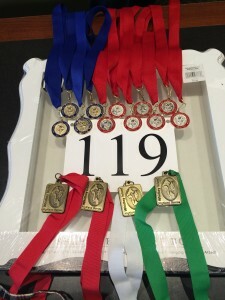 Today's blog starts a series on How to Display Awards. 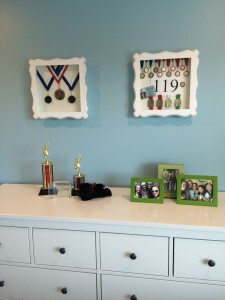 The first topic and project I tackled in my home was displaying my daughter's numerous medals. 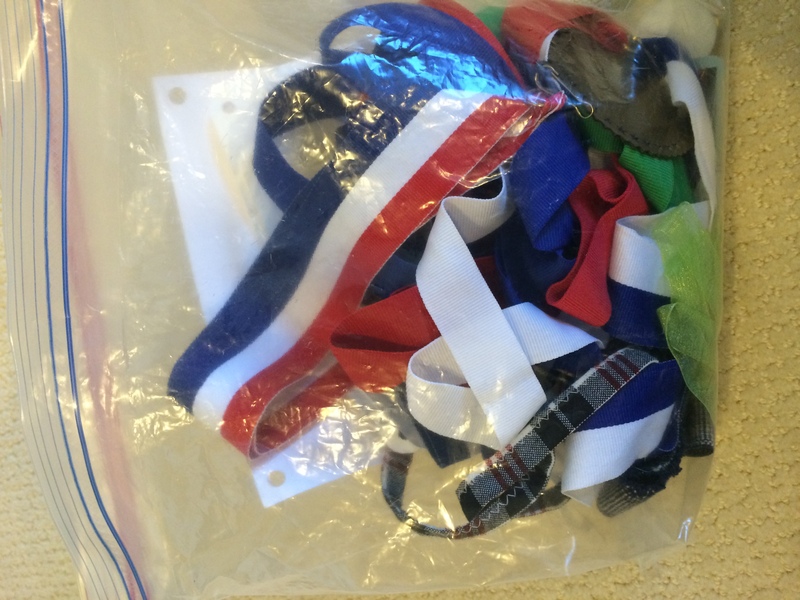 My daughter kept her medals buried in her closet in a ziplock bag. Even though she was proud of earning them, they didn't have a place of honor in our home. 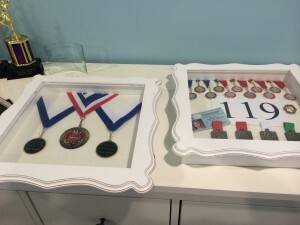 An easy DIY solution was to arrange her medals in a shadow box. 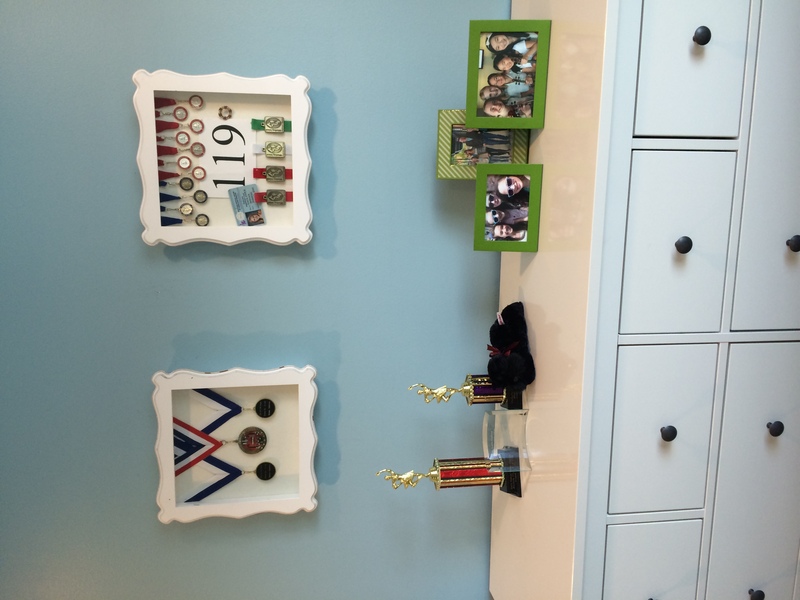 Not only does it display her accomplishments, but it personalizes and decorates her bedroom. How Brenna's precious medals were stored, buried in the bottom of her closet. 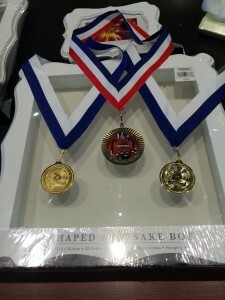 First I visited my local Aaron Brothers store with my daughter and her bag of medals, and together we chose two shadowboxes - one for her music medals and one for her dance medals. Brenna chose white boxes with a decorative edge to match the furniture in her room, but there were many size and color options available to match any decor. 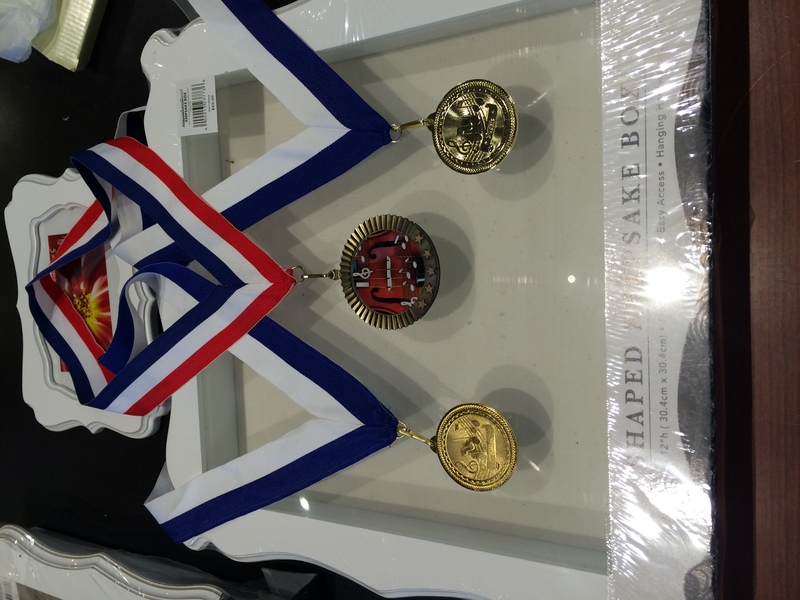 With the help of the friendly staff at Aaron Brothers, we arranged Brenna's medals on the unopened shadowboxes and figured out a general idea of what would go where. I snapped a photo with my phone so I would remember when I got home. 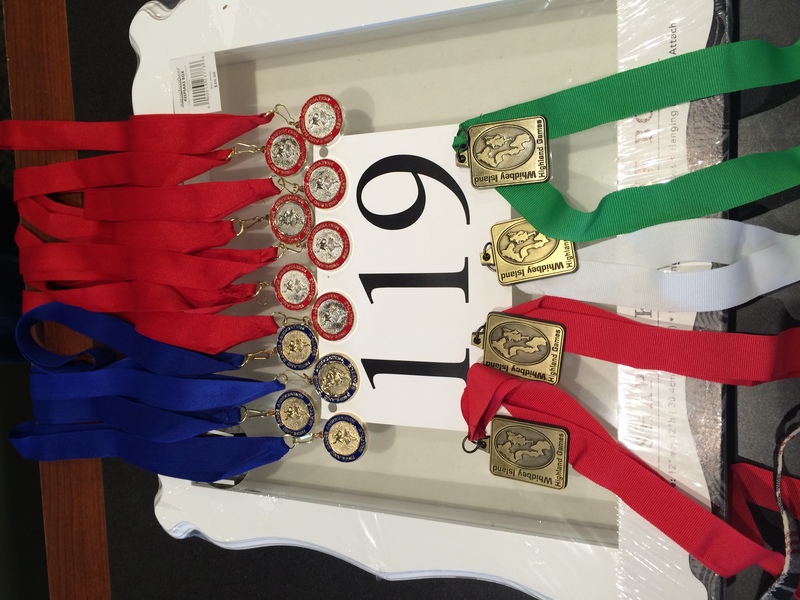 How I laid out the orchestra medals at Aaron Brothers. Here is the layout of dance medals. 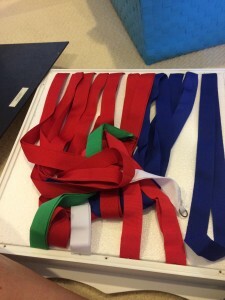 Since there were only three medals to work with, I started with the easier display of Brenna's music medals to get my technique down. After that box was finished, I tackled the dance medals. 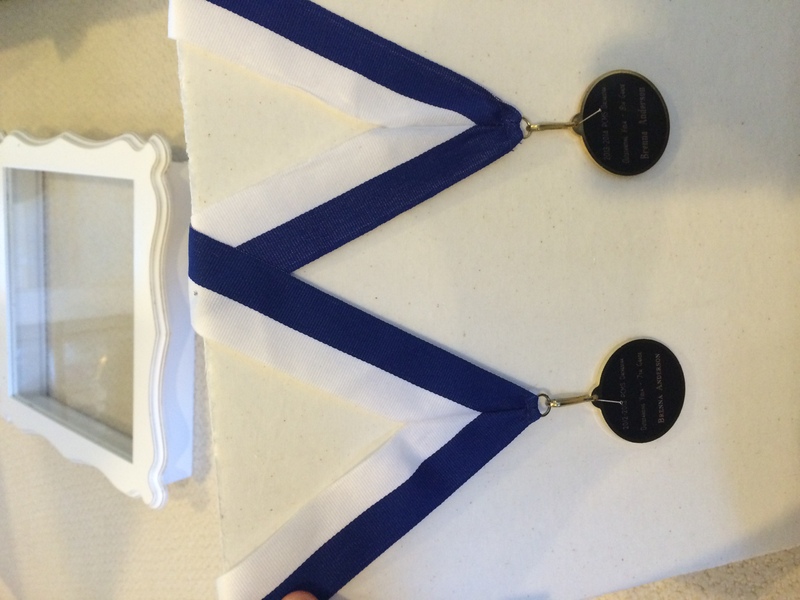 Here's the process I used to mount the medals in the shadow boxes. Step 1: Using the screwdriver, unscrew the back of the shadow box. Step 2: Remove the foam core from the shadow box. Remove foam core from shadow box. 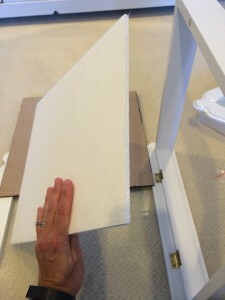 If not included, cut foam core to fit using an craft knife. Step 3: Using the ruler, arrange the medals on the foam core and then attach with pins. 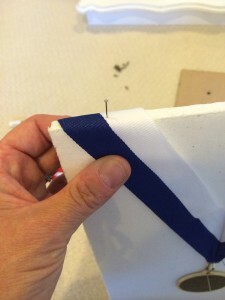 I used straight sewing pins I already had in my craft closet. 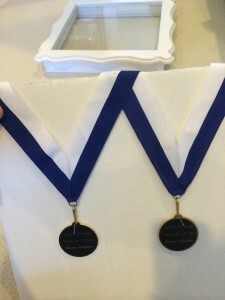 I pinned the medal through the loop at the top and then again on the edge where the neck drape folds over the foam core. 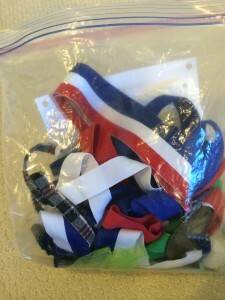 For the dance medals, a secured many of them to the back with double stick tape. 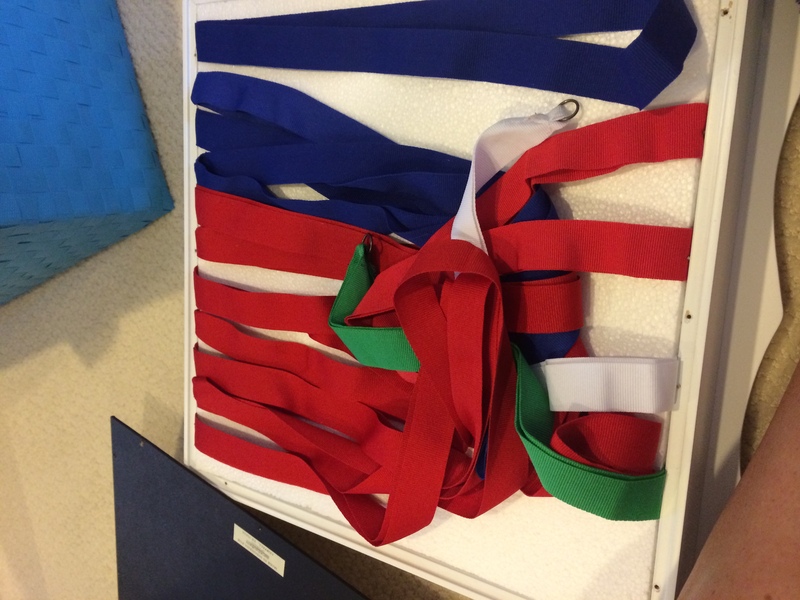 Arrange the medals on the foam core. I chose to display the engraved side of the medal to show the accomplishment and used pins to keep the medals place. Many people make slits in the foam core and then slip the neck drapes through, but I was afraid I would ruin the backing. Instead I folded the neck drape over the edge and secured with pins. Pinning the neck drape to the top of the foam core. For the dance shadowbox, I also included some other keepsakes with the display, such as Brenna's number from a competition and a brooch from a costume. Step 4: Put the foam core back into the shadow box. I tucked all of the extra neck drape fabric between the foam core and the backing. Then I re-screwed the backing onto the shadowboxes. Here's the extra neckdrape fabric from all of those dance ribbons. 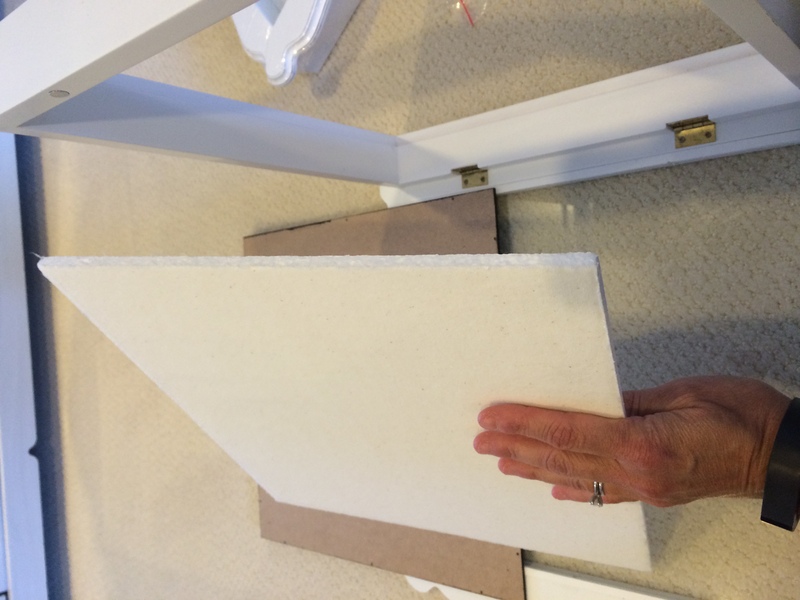 I tucked it behind the foam core before re-attaching the backing of the boxes. Completed shadow boxes! Now they are ready to be hung on the wall. Step 5: Hang on the wall and admire the display! Be sure to use the correct hardware for hanging. Our boxes were pretty heavy and required two large nails each. Brenna loves her new medal display and so do I! These shadowboxes turned out great and are a fun decoration in her room and a great way to honor her accomplishments. Give it a try with your child's medals! Stay tuned for my next trophy display project!